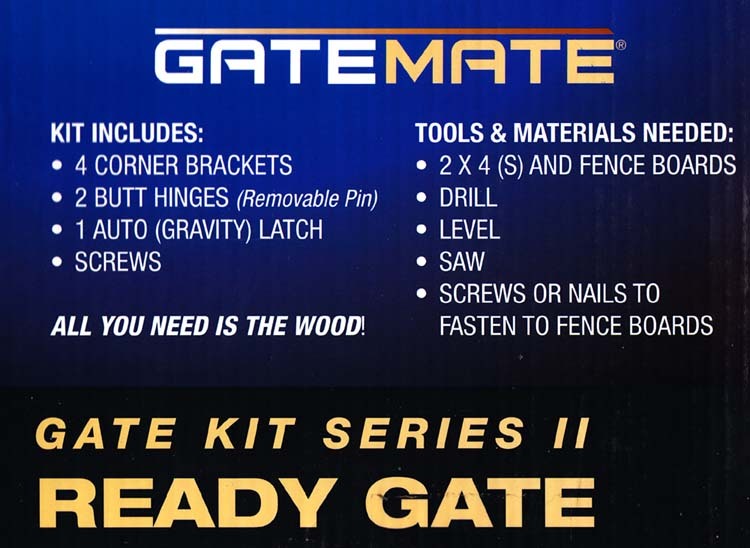 The GateMate® Anti-Sag Gate Kit is for use on walkway gates, driveway gates, shed doors, and anywhere else where you need a strong, non-sagging gate. Includes all Necessary Hardware - All You Need is the Wood!. Most Adaptable Bracket Gate Building Kit Available.